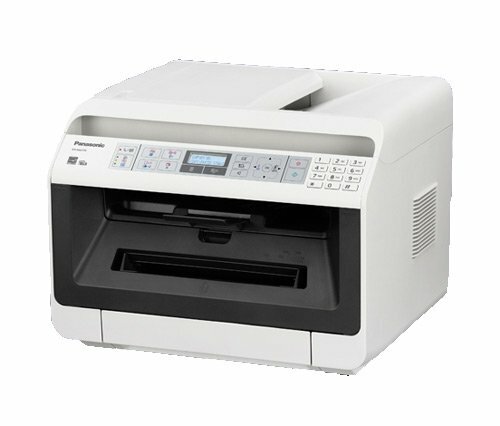 The Panasonic KX-MB2130 is a multi-function laser printer that handles paper sizes up to A4 format. The unit is also able to scan, copy and fax, so it can serve as a replacement for most of the machines that an office needs. While it is not as efficient as some larger machines, the average small office will find that this printer is able to do everything that it needs, and with some remote printing features available, it can even be used when workers are out of the office. The Panasonic KX-MB2130 has a 250-sheet capacity, which is adequate for the average office, and a Duplex printing feature is included as standard. Connections to the printer are available via USB, LAN and Wi-Fi, which offers more flexibility. The printer has been designed with a maximum monthly duty cycle of 12,000 pages, which is more than enough for most workplaces. The compact design of the Panasonic KX-MB2130 is a definite advantage. It measures just 41cm x 40cm x 32cm and weighs just 12kg, so moving it around is easy. It doesn’t need a lot of space in the office, so the average home office, for example, will find this printer an asset. When you scan a document, you can choose to save to email, which is a useful feature, and the unit is compatible with some mobile printing functions such as Google Cloud Print. Other printers offer a faster print speed than the Panasonic KX-MB2130, which only produces 26 pages a minute. The print media is limited to paper and envelopes. Another disadvantage to this printer is a maximum copying and printing resolution of 600 x 600 dpi, which is below average for the busy office, though it may be enough for the home office.